NIGHT MASTER NM800-4S IR850 Infrared Illuminator Kit For Night Vision Scopes And Monoculars. This Infrared Flood Torch Will Significantly Increase The Distance Your Night Vision Scope or Monocular Is Capable Of Seeing Too Whilst Also Significantly Improving The Clarity Of The Image. In-fact They Are Even Capable of Making Cheaper Night Vision Units Perform Significantly Better! 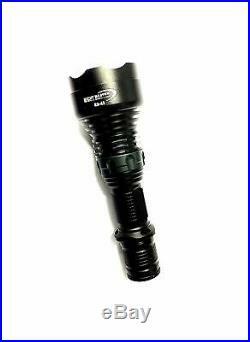 1 x Night Master NM800-4S IR850 Torch (850 Infrared LED Module Included with Torch). 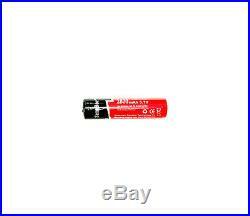 1 x 18650 Li Ion Battery. 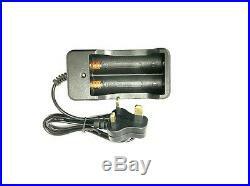 1 x Duel Bay Battery Charger. 1 x Scope Mount Bracket (1 / 25 mm). Cree series 850 IR Infrared Illuminator emitter. Adjustable brightness levels by rotating the ring on head. Dimensions: 160mm(Length)x 53mm(Head)x 25mm (1)(Tube housing). Material: Constructed of aircraft grade aluminium. Weight: 252-gram weight does not include battery. Includes lanyard ring built into touch. Includes Spare Extra O-rings, switch cover. The item "NIGHT MASTER NM800-4S IR850 Infrared Illuminator Kit For Night Vision Scope" is in sale since Thursday, December 8, 2016. This item is in the category "Sporting Goods\Hunting\Night Vision". 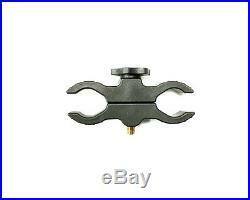 The seller is "jjkshootingsuppliesjjkgunsltd" and is located in Weymouth, Dorset. This item can be shipped worldwide.